Who doesn’t love the fresh promise that a new year brings — it feels like the right time to change a routine, to downsize possessions that might have been piling up the previous year, or to form a new habit. Do you, too find yourself saying, this year of all years will be different? Then, days, weeks and even months go by and our shiny new idea or routine slowly fades away? Yes, us too! There is one thing that you absolutely should make your top priority in 2019, and that is skin care. Read on for some of our favorite skin care resolutions, and see if you can incorporate them into your own daily routines. 1. Hydrate: This is a BIG one! And, one that many people either struggle with or simply forget. Hydration is key to healthy skin, maintaining skin elasticity and helping your skin stay resilient and moist. Staying hydrated will also help keep wrinkles at bay (YES!). It’s never too late to start hydrating! Most guidelines say you should drink 6-8 glasses of water a day, but another rule of thumb we like to follow is to take your weight and divide it in half. That amount is the number of ounces you should drink a day. For example, if you weigh 140 pounds, you should theoretically be drinking 70 ounces of water every day. Now, go have a glass of water — your skin will thank you for it! 3. Moisturize: Moisturizing is also an important part of maintaining healthy skin. Finding a good daily moisturizer with SPF will help you tackle two of the most important skin care regimens at once. 4. Consistency: Being consistent with your new skin care routine is essential. And, so is patience. If you are looking for instant results, it’s most likely not going to happen. The average adult skin cell has a life cycle of 28 days, and a good skin care regimen can take upwards of 6 weeks before showing results. Patience is key, ladies. Slow and steady wins the race! 5. Sleep: Make sure you are getting enough sleep. Sleep can do wonders for your skin. It can reduce dark under eye circles and, can also can reduce stress. Reducing stress can stop inflammation and acne breakouts in their tracks! Not getting enough sleep can lead to dehydrated skin as well. The verditct- more sleep in 2019! 6. Changing your pillowcases: In addition to sleep, changing your sheets and pillowcases more frequently can also be beneficial to your overall skin health! Your bedding can have built up oils and sweat from daily use, which can cause acne and skin breakouts. Experts recommend changing your pillowcases every two days, but if that isn’t doable (that’s a lot of weekly laundry! ), every week should be sufficient. Your skin will probably thank you! 7. Cleaning makeup brushes: Let’s face it, we are all guilty fo this one, too. It might not be something we think about on a daily basis, but maybe we should — like with pillowcases, makeup and skin oils can build up on your brushes, creating the perfect environment for bacteria to grow. Ideally, makeup brushes should be cleaned weekly, but if that isn’t possible, don’t fret! Any cleaning is better than none. 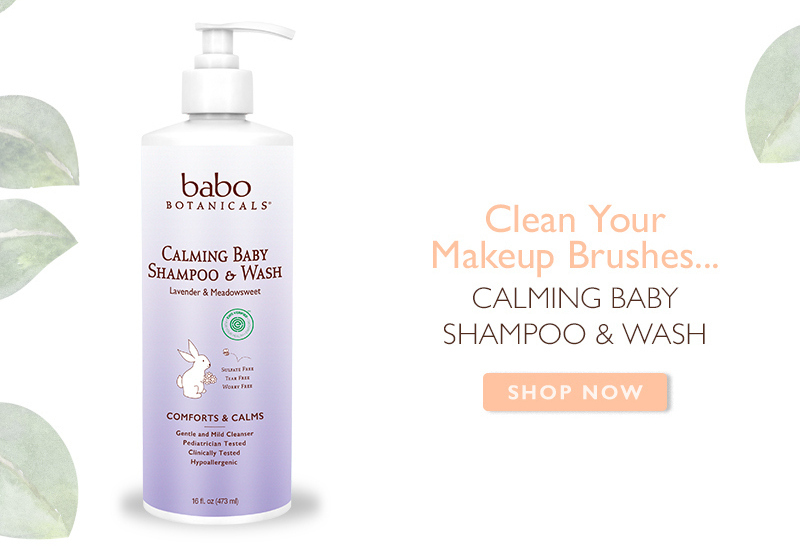 Our trick is to use Babo’s EWG Verified Calming Lavender Shampoo and Wash and lukewarm water to clean your brushes, and then lay them out to dry overnight over your sink. 8. Beef up your nighttime skin care: Life has a way of getting busier every year! If you are able to prioritize, be sure your nighttime skin care routine is high on your list. Start with cleansing your face and taking off your makeup at night. Don’t procrastinate on this one! You may get too tired or lazy and forget. If easier to remember, we suggest washing your face and moisturizing immediately after you get home. If you still are having issues with remembering to wash your face, or not having time, dermatologists say that using face cleansing wipes is the next best thing. Put your best face forward in 2019! Even if you haven’t started anything new on January 1, it’s never too late to start beefing up your skin care routine. 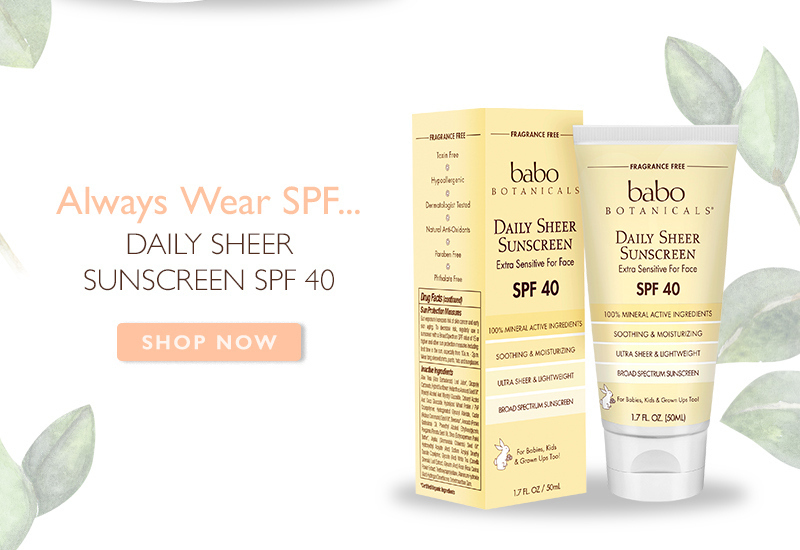 Check out these Babo products for some skinspiration: Sensitive Skin Fragrance Free Hydra Therapy Lotion, and Sensitive Baby Shampoo and Wash. Created with the purest botanicals including Coconut Oil, these products will help you and your family get on the right foot for the new year.